Asteroids and other objects in space passing by relatively close to Earth are far more common than most people realize, with a total of 12 asteroids expected to fly by in January alone. 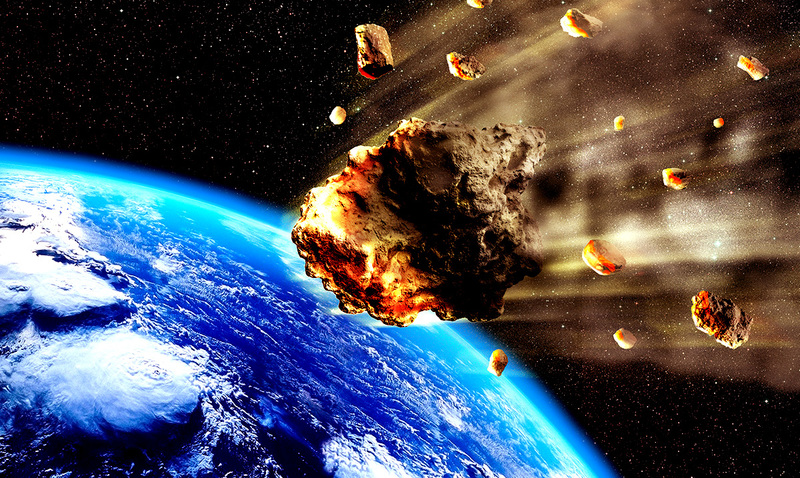 However, 3 specific asteroids have recently caught the attention of experts at NASA prompting a ‘near Earth object’ warning. According to NASA’s tracking program, all three of the asteroids are expected to pass nearby our planet tomorrow, January 16th. While their distance from Earth may seem incredibly large at first glance, when you put it all into perspective with the size of the planets and the expanse that is our solar system, they are close enough to prompt additional monitoring. The title ‘Near Earth Object’ is applied to comets and asteroids that orbit close enough to the sun to bring them within close proximity to Earth. This includes any object with an orbital period of fewer than 200 years. 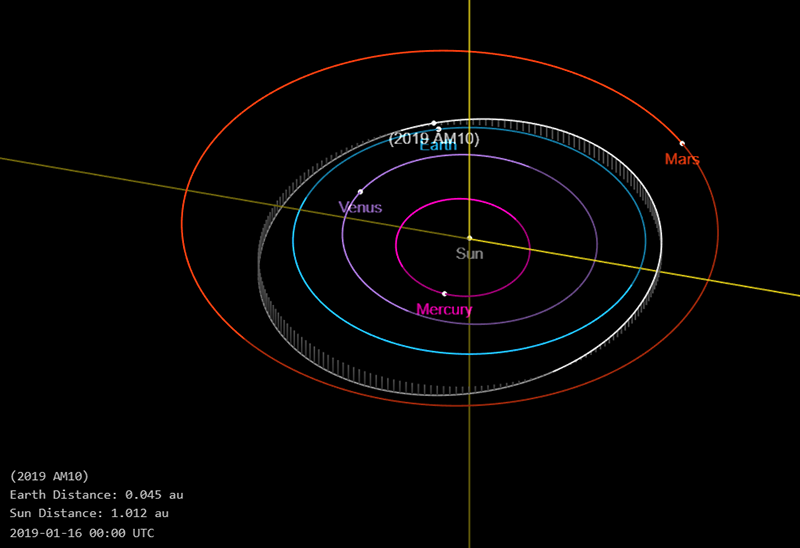 The first asteroid, 2019 AU9, is expected to come hurtling past Earth at a speed of approximately 3 miles per second. Measuring approximately 56 feet in diameter, and passing within approximately 2 million miles from Earth, it may not sound like a considerable risk. In fact, it’s the smallest of the 3. However, even an asteroid of this size could have a considerable impact on the planet if it were to make contact, prompting experts to track its movements carefully. 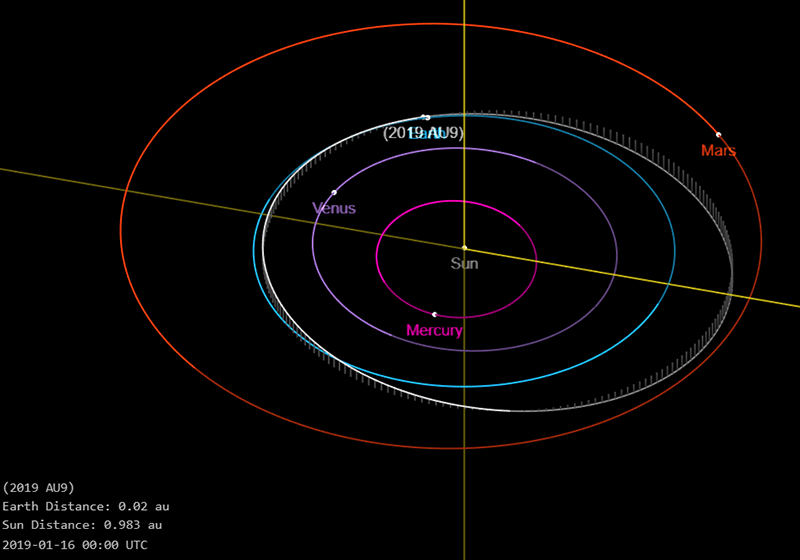 It will then be followed by the second asteroid of the day, 2019 AM10. Moving at over twice the speed, 7 miles per second, and estimated to be approximately the size of a blue whale, this asteroid could do considerably more damage if it were to enter Earth’s atmosphere and come into contact with the planet. However, recent calculations show it is still passing at a safe distance of approximately 2 million miles from the planet. 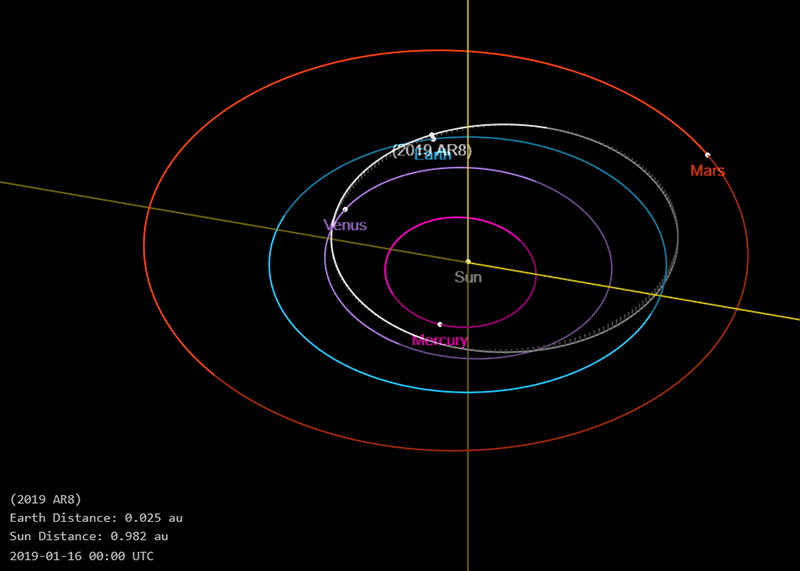 Finally, the largest of the 3 asteroids and the closest to earth will be 2019 AR8. This asteroid is estimated to be so large that its diameter is equal to the height of the leaning tower of Pisa, putting its size into perspective. Traveling at a speed of 4.2 miles per second, it is moving slower than 2019 AM10, however, it is expected to pass a surprising 950,000 miles from the Earth, considerably closer than the other two. Rest assured, NASA’s experts are monitoring its movement closely to ensure that these predictions don’t change. Before you become alarmed about the warning, it should be noted that while the objects do meet the classification for ‘near-Earth objects’, they are considered to be ‘small bodies’, meaning that they do not pose any risk to life here on Earth. Furthermore, experts from NASA continue to monitor and track their every movement.